I'm super excited about today's review! When it comes to skincare, I typically review skincare systems and face masks, but today's review is a first. Today, I'm reviewing my first skincare device. Now some of you may be excited to learn about this new device while others may be asking, "What is a skincare device?" A skincare device is simply a tool that you can use in addition to your normal routine to aid in your skincare regimen. The Spa Sonic Skin Care System Face and Body Polisher is a waterproof device which is ideal for use in the shower, bath and sink. 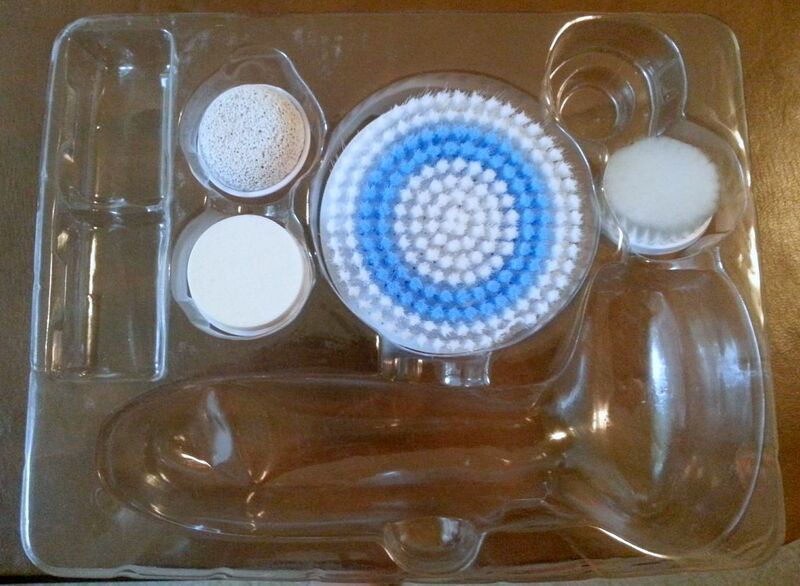 It operates with 4 attachments: a big brush for the body, small brush for the face, pumice for rough areas and a facial sponge for microdermabrasion. 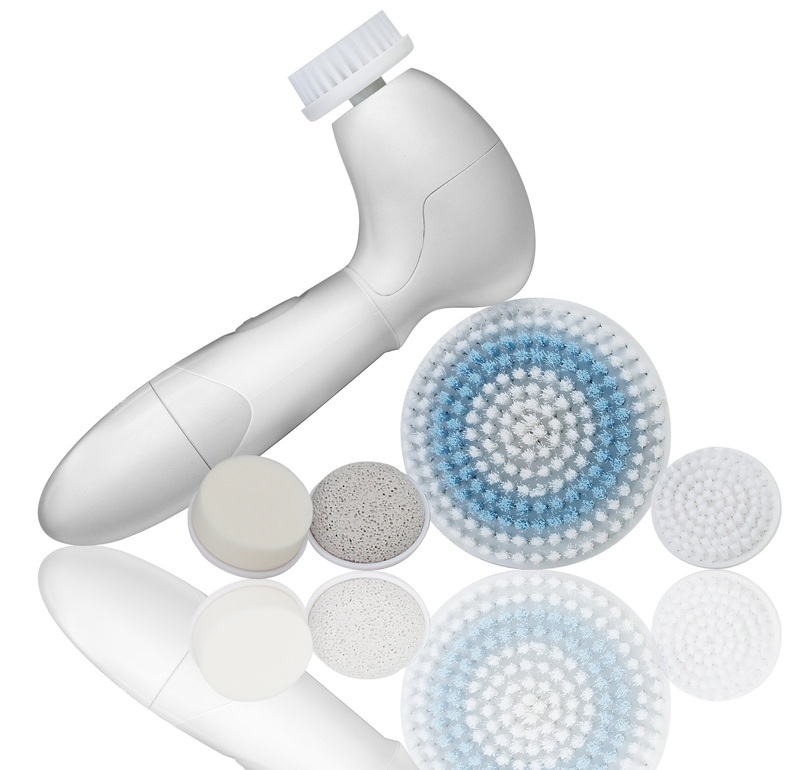 The Spa Sonic's dermal penetrating action promotes rapid absorption of skin care products. The Spa Sonic tested comparably to the Clarisonic® Plus Skin Care System in an independent study conducted by the leading consumer testing laboratory. The Spa Sonic has been exclusively sold in the finest Spas and Salons all over North America until now! The Spa Sonic is now offered to the general public, which allows you to "Bring the Spa Home" and treat yourself to a Salon level experience. For a long time, I have looked for a device comparable to the Clarisonic for a much more affordable price. 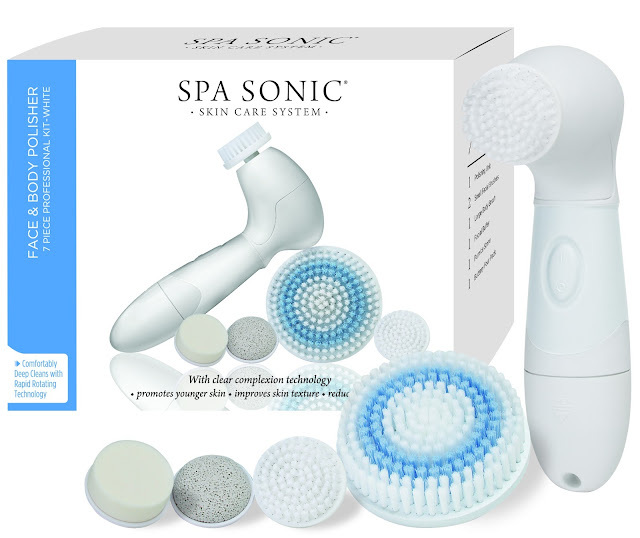 I was overjoyed when Spa Sonic allowed me to review this product. I can't stress enough how much I love it. It cleans my skin thoroughly. 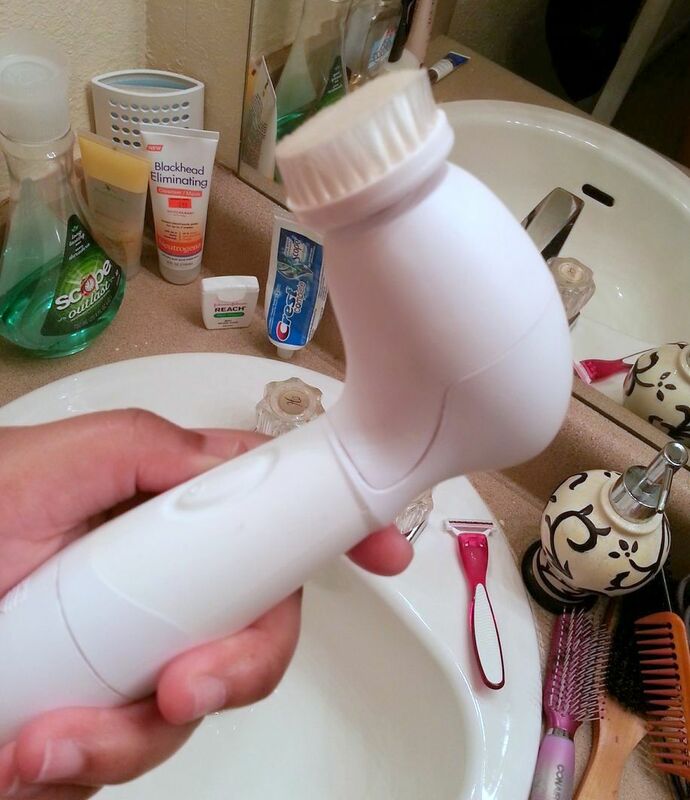 I simply take the facial brush attachment, wet it, pour my favorite cleanser into it and attach it to the Spa Sonic. It gets deep into my skin and cleanses it very well. My skin looks radiant afterwards. I also love the fact that it has multiple attachments. I loved the pumice stone attachment. Perfect for sandal weather! The only element of the device that I dislike is that it's not electronic and requires batteries; however, it comes with batteries. Plus, rechargeable batteries may just be the answer to solve this dilemma in the future! I have not used the Clarisonic device so I can't share with you a true comparison; however, if you want to read a comparison, click here. Also, if you have dry to normal skin, you may not need to use this device daily. I use my device once a day, at night, but keep in mind that I have combination/oily skin. YES! I love this device. It deep cleanses and makes my skin look great. Plus, the fact that it comes with two facial brushes in addition to other attachments is straight up awesome! Are you interested in purchasing the Spa Sonic? I have great news! The Spa Sonic will be the Target's online Daily Deal on Tuesday, June 25. It will be sold for $35.00. You can't beat it! You can bookmark it by clicking here. Have you heard of Spa Sonic? Do you use a skincare device like this one? You know I have set my calendar alarm so that I can get the deal of the day!!! Thank you for introducing us to SpaSonic!! The price on this one is so reasonable! Glad you love it! I wish I would have know about this before I purchased my Clarisonic.